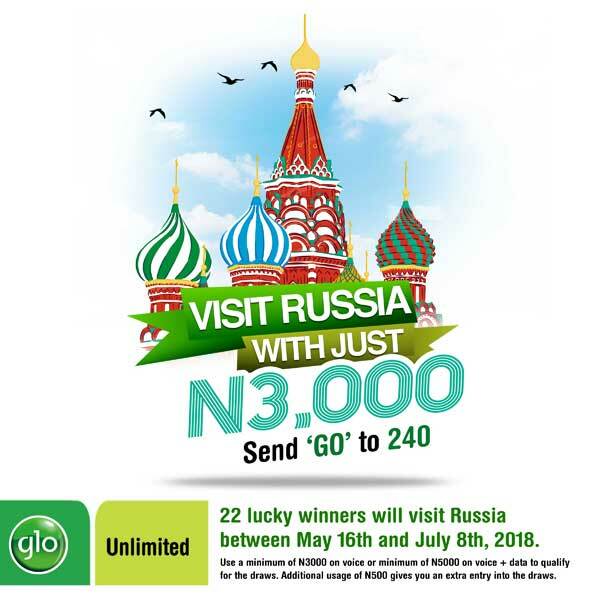 Glo, the grandmasters of data, have always had and maintained this pretty long tradition of organizing promos, shows and events for all its customers both in Nigeria and other neighbouring countries as well. Things like the Glo Laughter Fest, the Glo Campus Music Tour, and others. And this one is no different, save for it being one of the biggest Glo Promos we've ever had. And what is it all about? 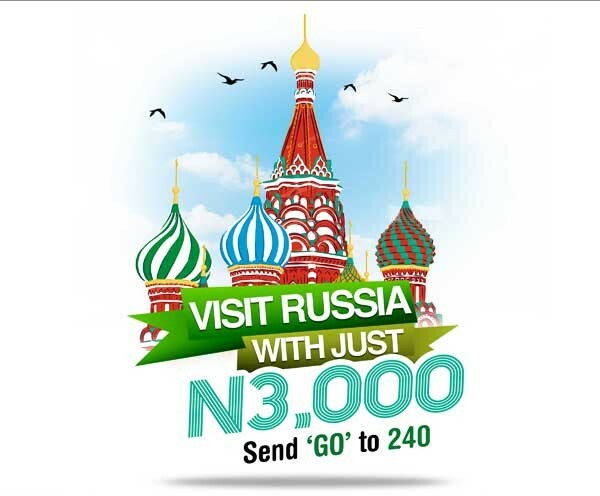 Now Glo in their good spirit and church mind, wants to take 22 lucky subscribers to an all expense paid trip to Russia.. yea you heard that right.. Russia. But wait, don't rush yet. These 22 persons will be selected through a Raffle Draw session, so if you are lucky, you might just be the first person to be picked at random.. who knows. But wait again, that's not all. PLEASE NOTE - That all winners will be contacted individually through a voice call from Glo customer care themselves. So beware of scam. So that's it guys, start recharging, making calls, subscribe for data, and make sure you are a part of this Russian Trip. Remember, any amount of money you spend now is way more lesser than what you would spend if you were to go to Russia all by yourself. So leave us a comment in the comments box below, and don't forget to share this good stuff with everyone, who knows, your mom, sister or bae might be picked.